In 2016, active duty military voters in states using Scytl eBallot delivery were 10% more likely to receive their requested ballots. As simple as uploading a ballot file, or create a ballot from scratch. Email eligible voters to access their ballot, and other custom notifications. Voters send their physical or digital versions of completed ballots. Duplicate returned ballots for optical scan tabulation. 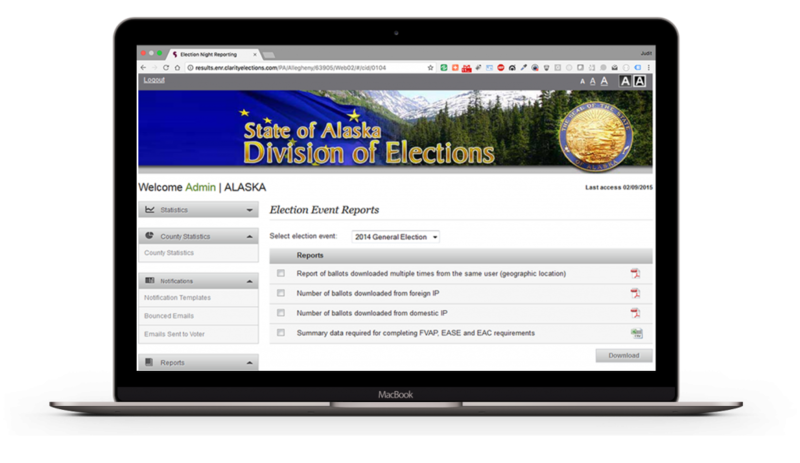 We wanted to modernize our elections process and provide an online voting alternative to fax. The Scytl solution was selected and we implemented it for the 2012 Presidential election. We had a very positive response from voters with over 7000 ballot returns made through the secure Scytl eBallot Delivery System. Allow voters to download, mark on-screen, and submit ballot online, on their schedule. Track when ballot was downloaded, submitted, and if it was counted. Voter notifications when ballots are available, when they change, and when ballot status changes. Save time with digital ballot delivery. Voters receive ballots more quickly. Increase access for overseas citizens. Give peace of mind with secure ballots, and ballot tracking. Scytl Voter Education allows accurate and easy to update communication with constituents before, during, and after elections. Learn more about Voter Education. Scytl has provided electronic ballots in the United States since 2010. 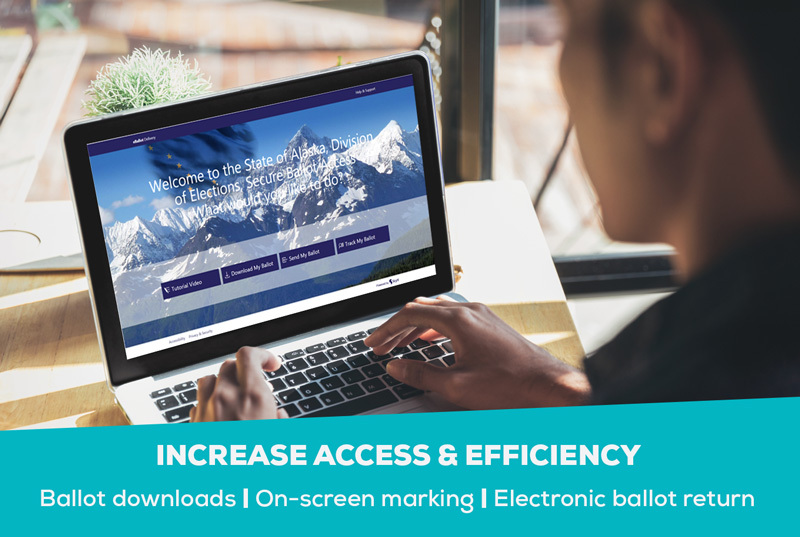 In the 2016 U.S. General Election, 6 states with more than 21 million registered voters utilized Scytl eBallot Delivery to enable remote voters to receive and return ballots electronically.